If you are looking for a reliable way to decorate your walls, you have come to the right place! The superior wallpapering services of Real Painters will be the perfect solution for your decorating needs in Hornsey. We’ve got the correct tools, high quality materials and professional expertise to perfectly install your wallpapers and hide the surface imperfections which affect the beauty of your home. The suitable decoration option will be delivered at the most convenient time for you (our technicians work from Monday to Friday, from 8 am to 7 pm) and according to your specific requirements and home style preferences. The decorators will arrive at the scheduled date and time to discuss your needs, suggest the best solution and give you a fair quote for the required job. 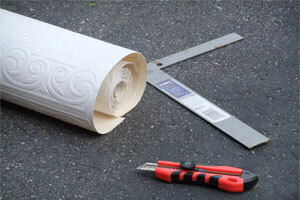 Usually, our wallpaper hanging service includes accurately measuring and cutting the wallcoverings to the correct lengths, removing the old wallpaper and any rough paint, filling and sanding of walls and hanging the wallpaper you have chosen. After we finish our work, you will be able to enjoy perfectly hung paper without any mess or rubbish left. We work with highly experienced decorators who will be happy to take care of your wallpapering task from start to finish. They are able to decorate a single room or an entire property according to your personal preferences and home style. To hire our friendly and skillful decorators in Hornsey, just contact us on 020 3026 9530 or complete our online booking form. Reaching our well-informed advisers, you can also get any useful information regarding our wallpaper hanging options. The decorating specialists can come to discuss your needs from Monday to Friday – from 8 am to 7 pm.